Born in the USA, Washington, D.C.
It’s often difficult to understand what angle people are coming from and people are so sensitive these days. I have also been caught out on here with what i thought were harmless statements only to be pulled up for it. I have humour, warmth and only recently i smiled as Wales won the Six Nations Grand Slam, sorry England, victory is sweet. Yeah but what does 23 and Me say? @Ralph_Pantuso Kinda! 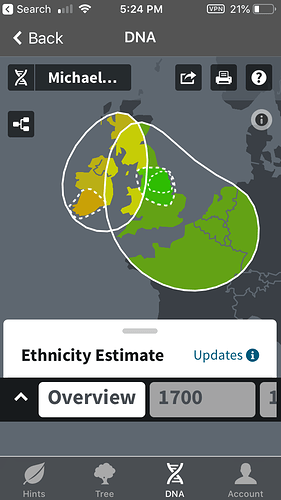 My dad’s parents emigrated from Ireland, so I’m sure about the Irish side. My mom’s father was from England and her mom from Québec City. I also hold an Irish passport! Exciting poll so far. Maybe not that surprising to see a tilt towards elderly men (definitely). But where are all the kids below 30? Still haven’t found Roon? Into streaming only? Cost? No support for Spotify? But where are all the kids below 30? Still haven’t found Roon? Into streaming only? Cost? No support for Spotify? Having said that, I don’t think @danny and the wider Roon Team would really lose too much sleep over these things because he says their subscriber numbers continue to climb up and up, at a healthy rate. For background: I’m a lifetime member myself and have tried and am always trying to get friends to join Roon, even though the above stuff bugs me too (first world problems of course), not just them. Ethnicity: Half Scottish, quarter Danish, quarter Somerset so … Caucasian ? Diversity is strength. Just ask a backgammon player. Getting a new DAC for your birthday? 66 years old. Cant hear beyond 12kHz. So I take it that you only stream 192kHz? Not necessarily a Roon demographic, just a Roon forum demographic. What's the highest frequency you can reliably hear?